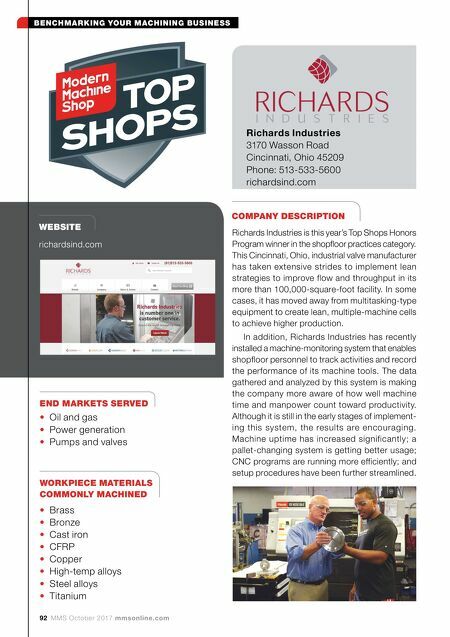 BENCHMARKING YOUR MACHINING BUSINESS mmsonline.com MMS October 2017 93 To Richards Industries, machine monitoring provides a window into the performance of its machine tools. According to the company, overall equipment effec- tiveness (OEE), which factors in productivity, perfor- mance and quality of output, is at least 20 percent higher than before machine monitoring was in place. Richards Industries is the parent company of six distinct industrial product lines, including regulators and control valves from Jordan Valve. 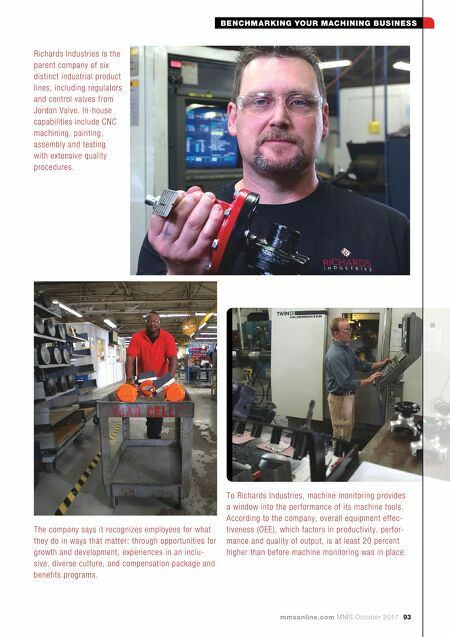 In-house capabilities include CNC machining, painting, assembly and testing with extensive quality procedures. The company says it recognizes employees for what they do in ways that matter: through opportunities for growth and development, experiences in an inclu- sive, diverse culture, and compensation package and benefits programs.